Are you looking for your perfect sofa? Can’t seem to find it anywhere? Well perhaps you’ve been looking in all the wrong places? 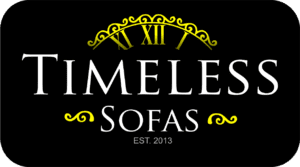 Here at Timeless Sofas we are master craftsmen who are all fully time served upholsterers with a great knowledge of all the traditional and modern upholstery techniques required to build you that most elegantly and homely piece of furniture that your home strongly desires. We offer a fully bespoke service in which our team will custom build your furniture to any size or style you require. Whether it is modern, contemporary or traditional we can make it to fit any gap however big or small. There is no job too difficult for the Timeless Sofas Team. If you have a picture or you have drawn a sketch of something along the lines of which your looking for we can easily turn that sketch into a reality and build you your perfect sofa. If you would like some help finding what you are looking for contact our sales team via e-mail at [email protected] or call us on 0161 870 9150. All bespoke orders will all require 50% deposit with the rest of the balance to be settled at least 3 days before delivery. You are always welcome to come and see your order before delivery (by appointment only). All our furniture is made in our Bury factory shop, in the North-West of England.